Thanksgiving is the day we gather around the table for a feast. Our celebration is built all around the food. But what do you do when one or more of your guests has special dietary needs? 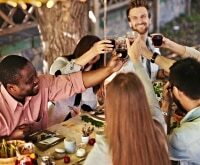 What if the table includes a gluten-free eater, a paleo dieter, and a vegetarian? When we serve food we’re saying how much we care. We want everyone to feel the love and enjoy a delicious meal. 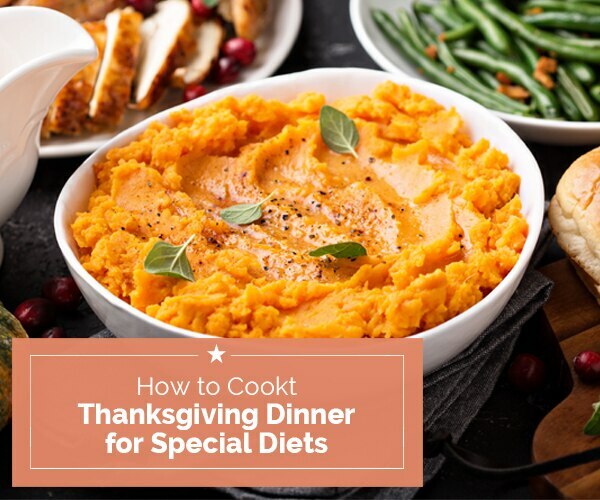 But don’t stress too much, you’ll be able to provide options that will provide a satisfying meal for guests with special diets, no matter their preference. Are you hosting this year? 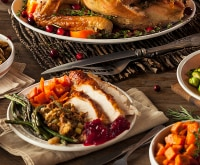 Check out our complete guide to hosting your first Thanksgiving, plus these easy tips for being the hostess with the mostess! The best way to approach planning out your dinner is to call the guests you know have restrictions and talk to them. Everyone is different: Some are strict and others are more lenient when it comes to the holidays or special occasions. Next, review your menu and see where you could substitute in special diet-friendly recipes. This could include going dairy-free on your mashed potatoes or putting aside your green bean casserole and roasting green beans instead. You don’t have to take away all your favorites, just make sure there are options for your guests. 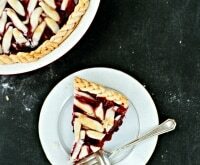 Any effort on your part to accommodate your guests’ special diets will be meaningful to them. If they offer to bring a dish to share, say yes! 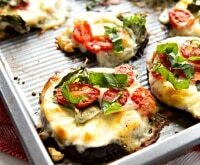 Start off your meal by having one appetizer that’s gluten- and dairy-free. Nuts are a great option because most everyone likes them and most guests with special diets will be able to enjoy. Veggie sticks and hummus are another easy option that’s sure to please most guests. 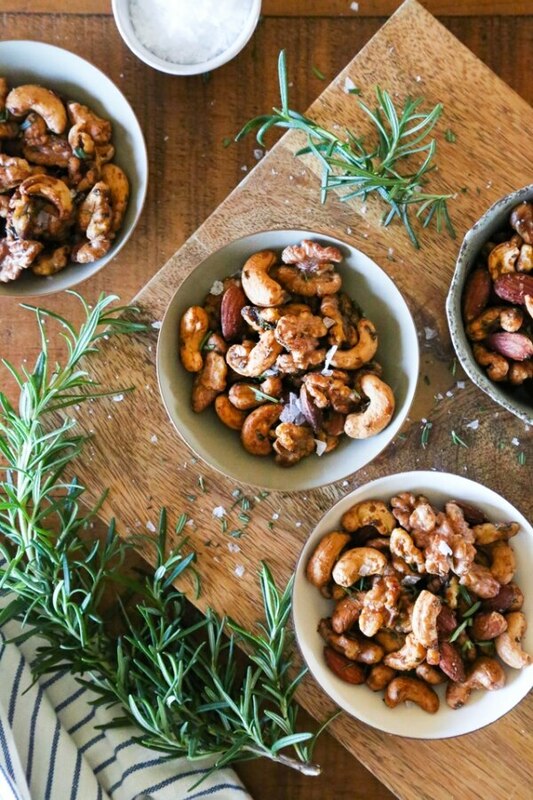 These rosemary-spiced mixed nuts are addictive. Make sure you make enough to bring out more after dinner, too. Get more allergy-free snack and appetizer ideas here! Let your guests customize their own soups and salads by keeping extras like cheese, croutons, and salad dressing on the side. For soups specifically, you can substitute vegetable stock for chicken stock, and use coconut or almond milk in place of milk or cream. Save on your special diet-friendly ingredients with coupons for Almond Breeze®, Silk®, and Swanson®! 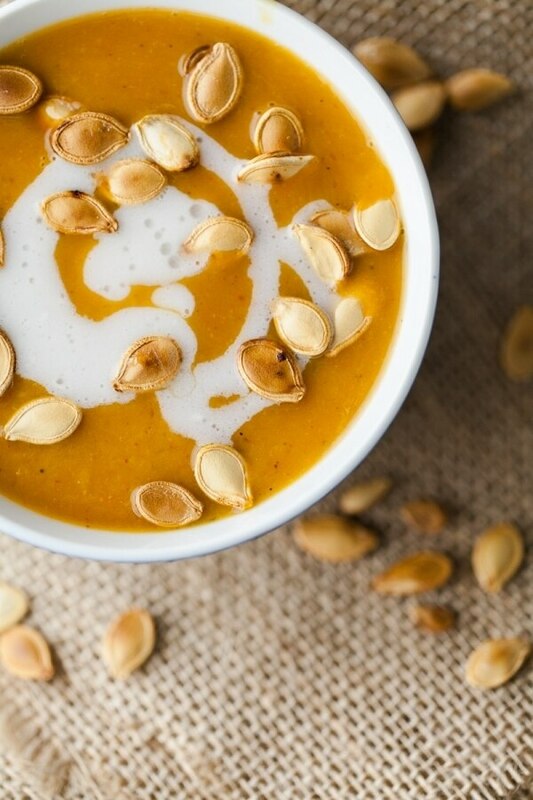 I love serving a warm cup of pumpkin soup as a starter. You can make it ahead of time and keep it warm in a Crock Pot, freeing up your much-needed burners. 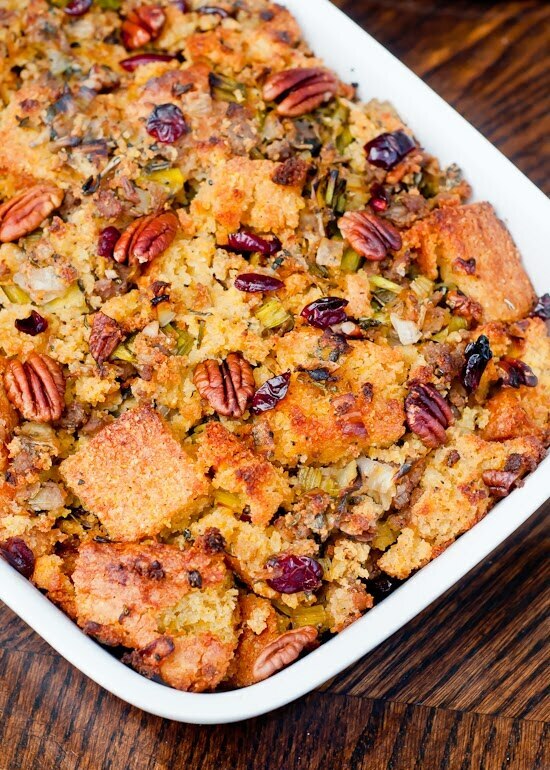 There are many options for serving up a gluten-free stuffing, and there are also many delicious stuffing recipes with veggies and no meat. If stuffing is a must-have favorite recipe for your family, try making a smaller portion of it along with a second gluten-free and/or vegetarian stuffing. 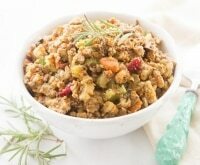 Need some recipe inspiration for a gluten-free or paleo-friendly stuffing? 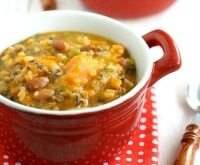 Check out these 6 flavorful ideas! 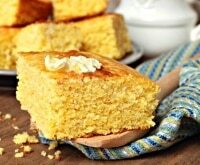 Gluten-free flour is the base for the cornbread, and you can eliminate the sausage and substitute vegetable stock to make this recipe vegetarian. Keep the sides and desserts, or at least a few of them, simple. 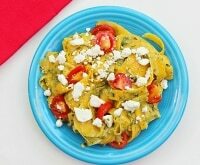 The fewer the ingredients, the better, and avoid adding meat to the sides. 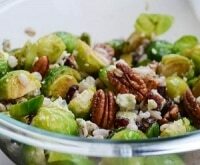 Roasted Brussels Sprouts with Pecans and Cranberries: This hearty recipe drops salty meat like pancetta in favor of pecans, butternut squash, and cranberries. 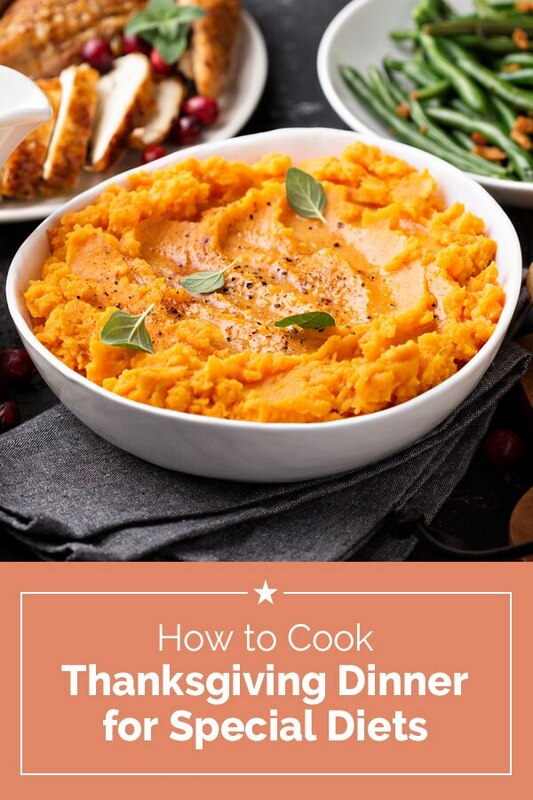 Non-Dairy Mashed Potatoes: A simple switch is to use a dairy-free alternative like rice or almond milk in your potatoes — or try an olive oil-based mashed potato like the Italians! 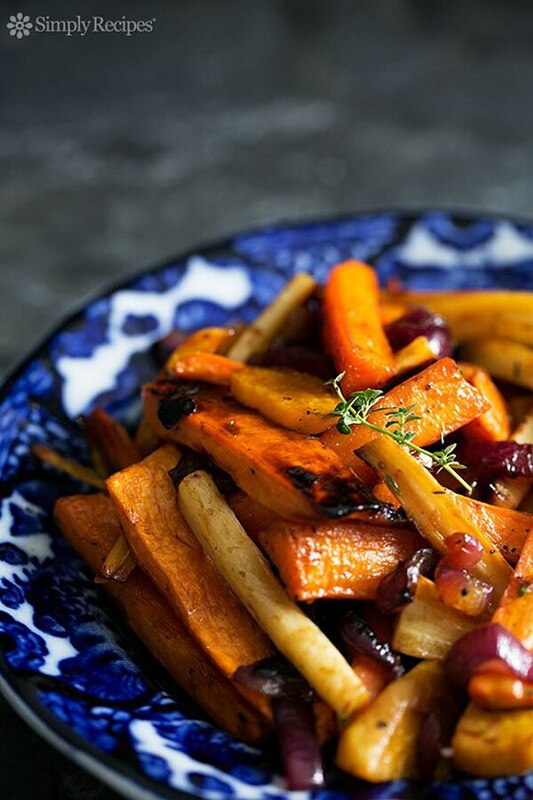 Cider Vinaigrette Roasted Root Vegetables: A plate of simple roasted veggies will be a great side for special diets. Add a touch of fall by topping them with a cider vinaigrette. For more special diet-friendly sides, check out our 11 gluten-free side dishes For Thanksgiving! Gluten-Free Vegan Apple Crisp: Serve this vegan gluten-free apple crisp with whipped coconut cream for a treat that’s sure to please any sweet tooth. 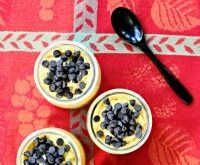 15 Delish Thanksgiving Desserts That Aren’t Pie!